“Ah, yes. You’re probably thinking of my meeting with General George McClellan afer the battle of Antietam. 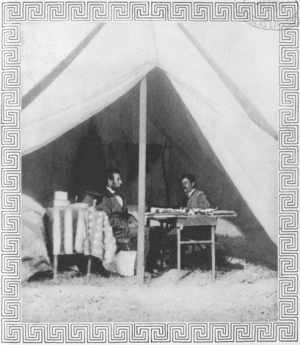 Although Antietam was a tactical draw because McClellan refused to finish off Robert E. Lee’s troops, it gave Lincoln the appearance of victory he needed to issue the Emancipation Proclamation and repelled the Confederates from the North. But enough history; let’s return to the present. 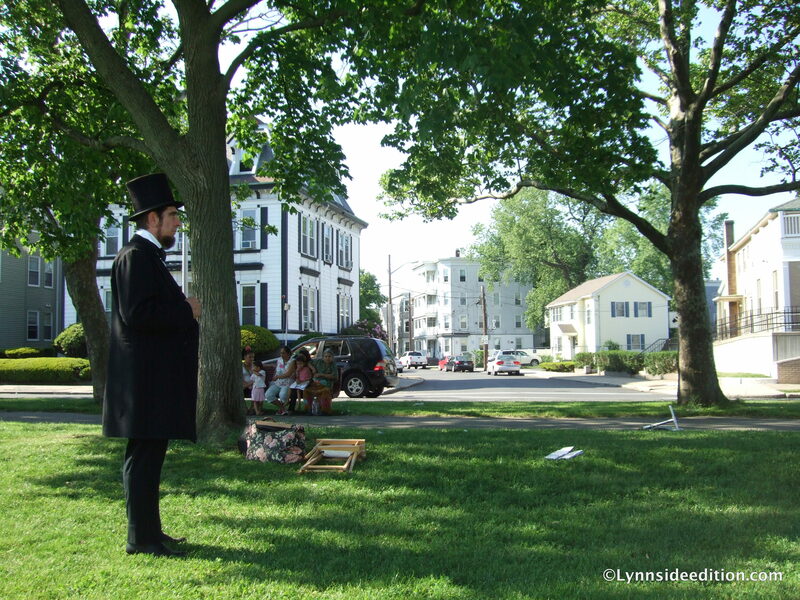 Who is portraying Lincoln on this hot summer afternoon on Lynn Common? The week leading up to Saturday’s event was filled with presentations at Lynn’s Middle and High schools featuring the aforementioned press conferences with Lincoln, Grant and a General Chamberlain and retellings of the story Lincoln’s Boots by Bob Marcott. The boots Lincoln wore on the night of his assassination were kept in Lynn on 338 Summer and then 15 Franklin St. for 82 years before being donated to the Ford’s Theatre Museum. 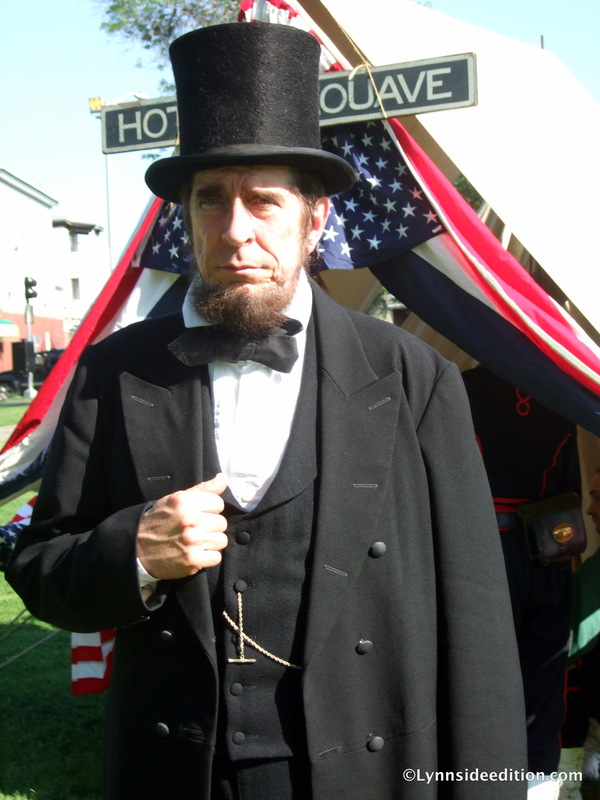 One could also have dinner with Lincoln at Lynn’s Masonic Temple on Friday for $12.00. 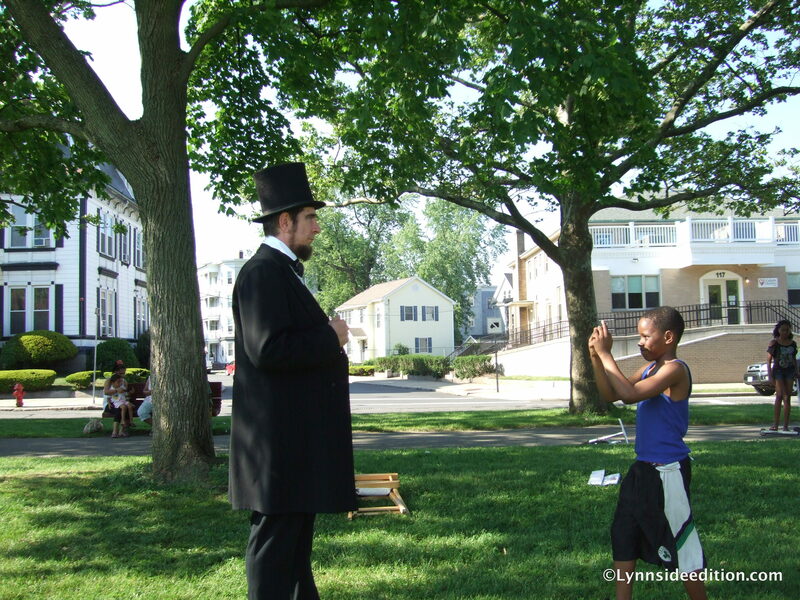 Lincoln in a Hard Day’s Night. Did you have dinner with Lincoln?